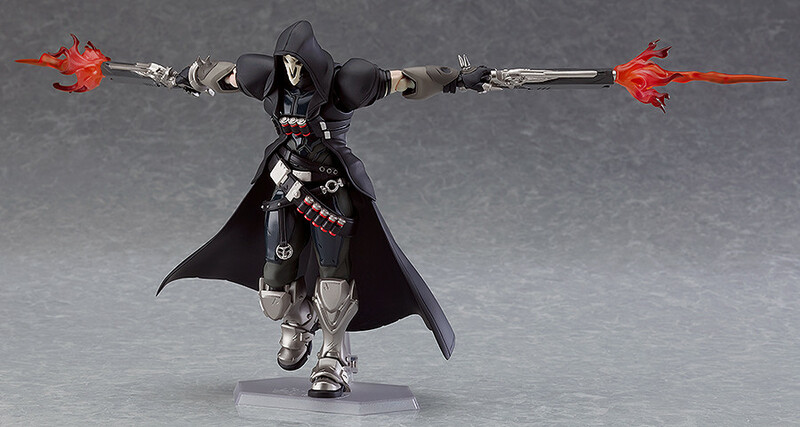 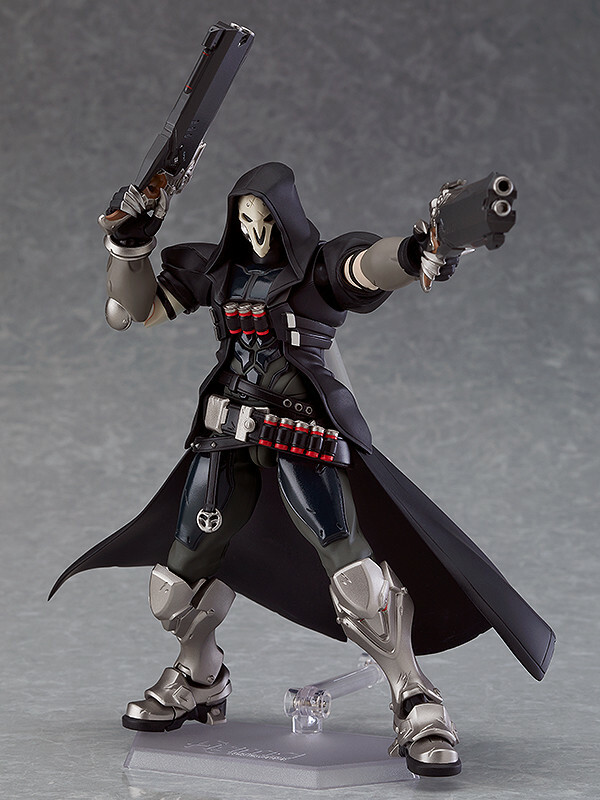 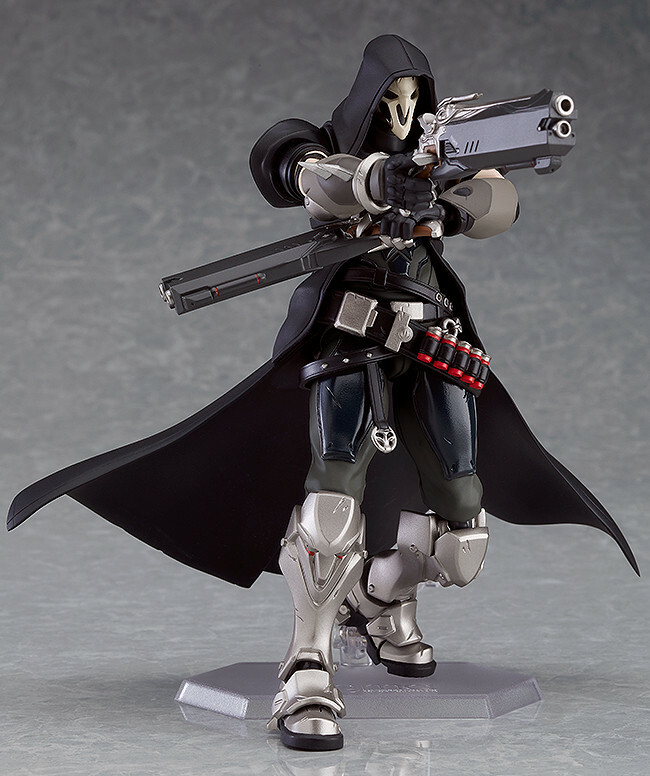 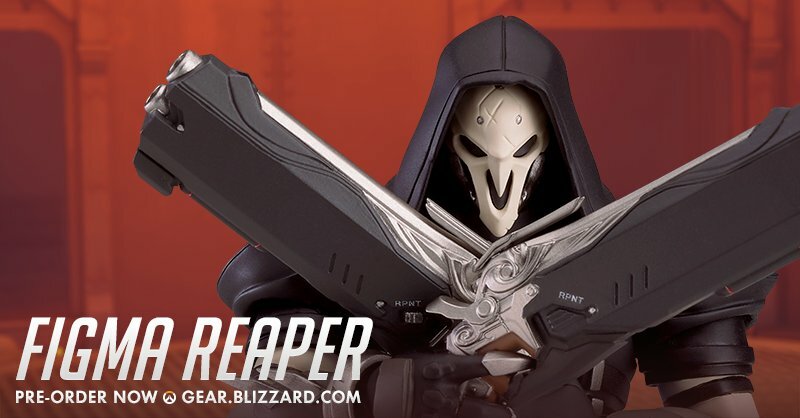 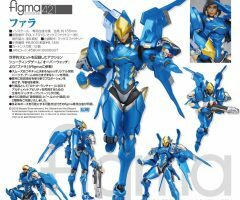 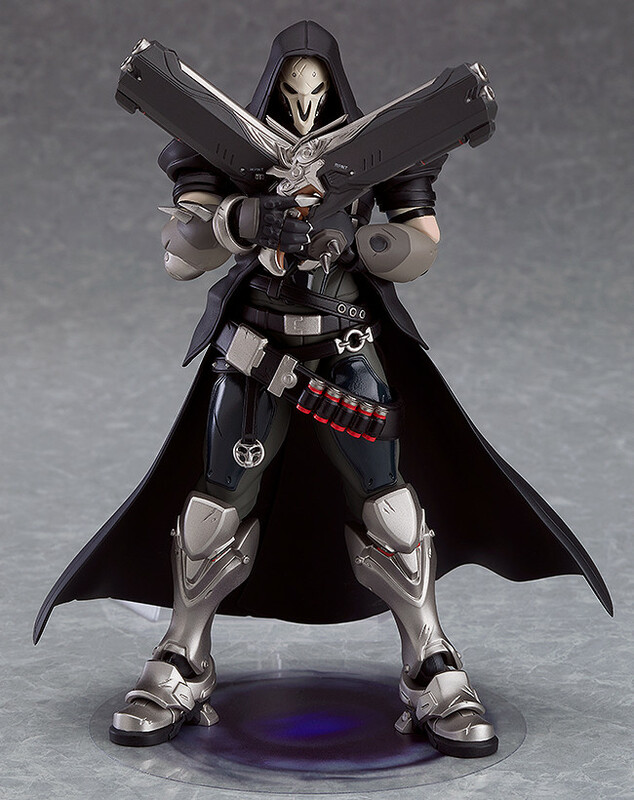 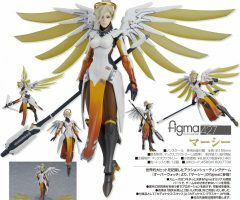 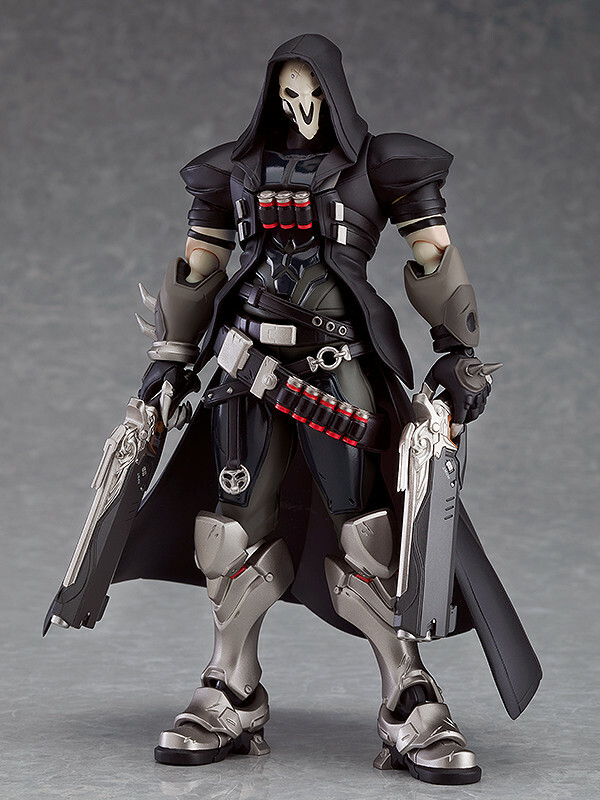 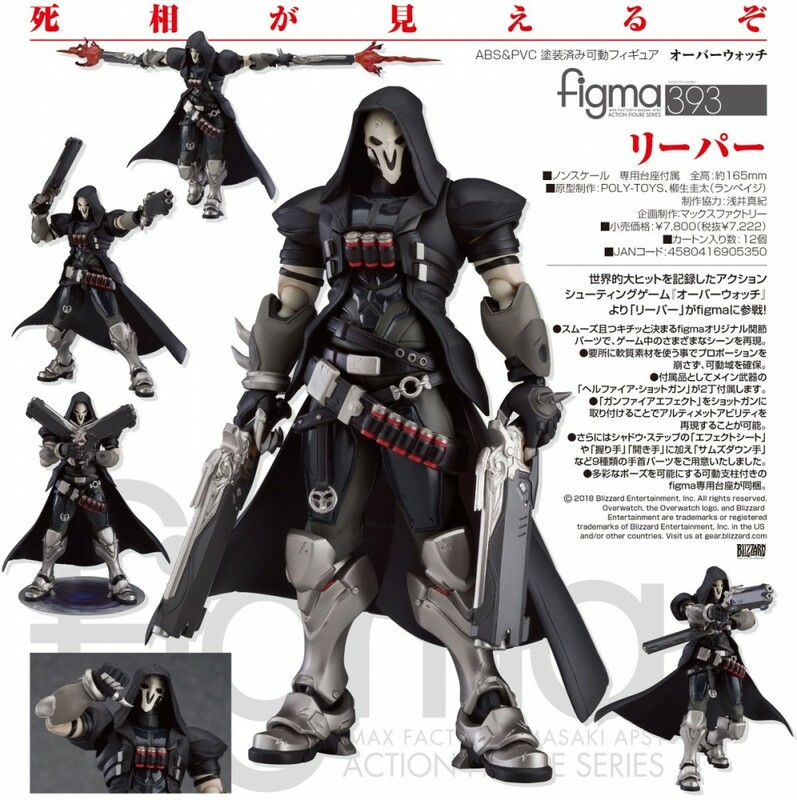 From the globally popular multiplayer team based shooter Overwatch comes a figma of Reaper! 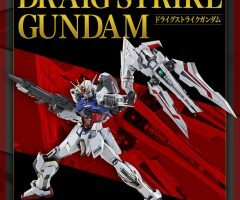 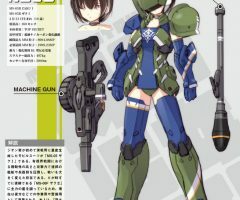 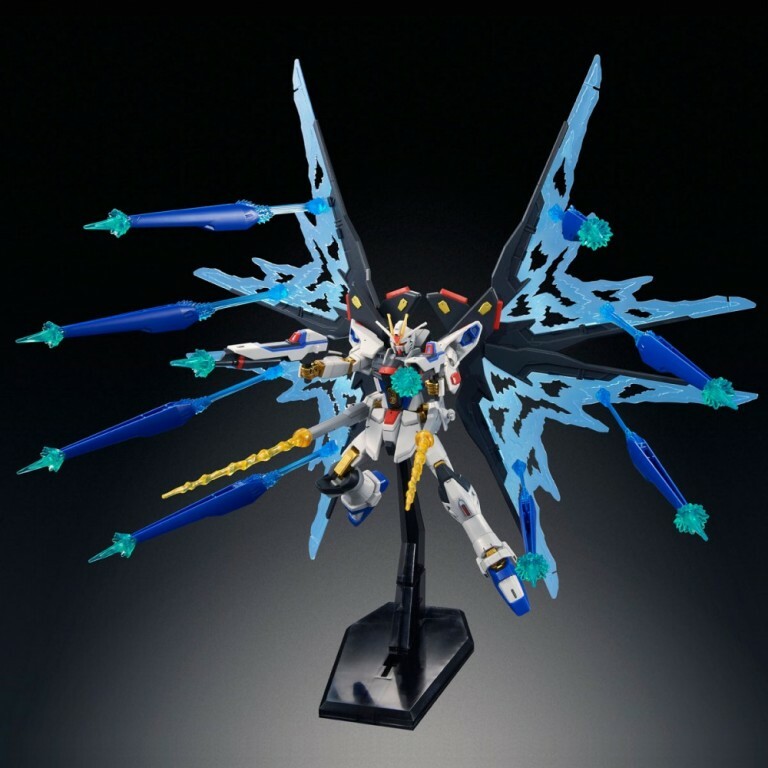 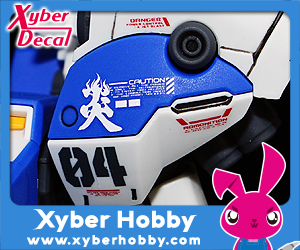 ・His twin Hellfire Shotguns are included to display him ready for battle. 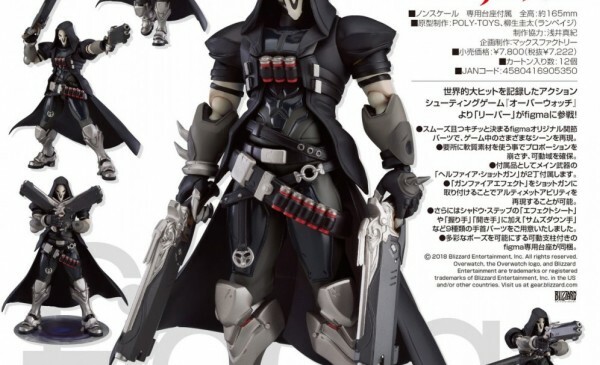 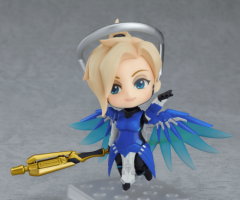 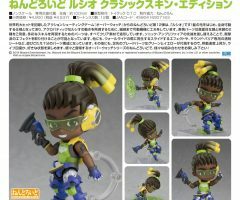 ・Effect parts can be attached to the Hellfire Shotguns to recreate his Death Blossom ultimate. 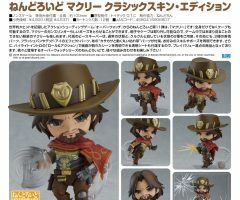 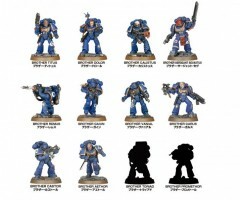 ・A Shadow Step effect sheet is included which can be placed at his feet to pose him using the ability. 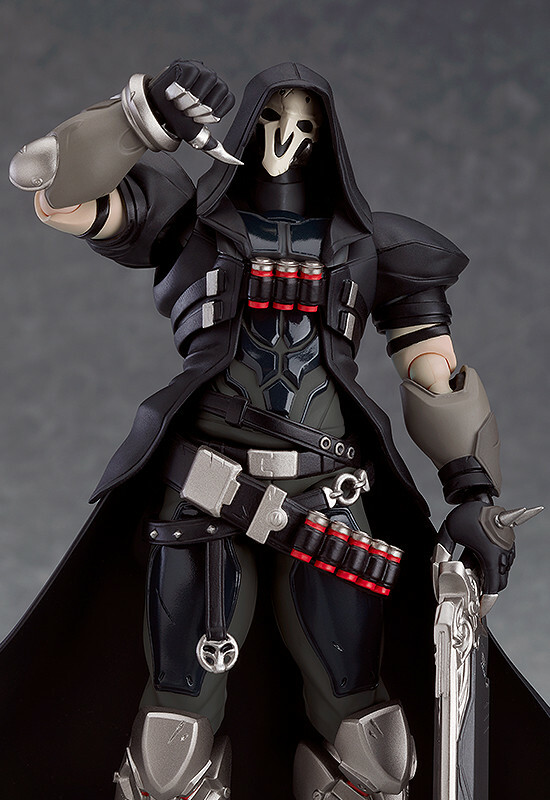 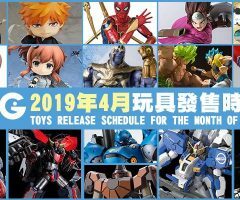 ・Nine different hand parts including open hands, clenched hands and a thumbs down hand are all included.